It was the army that abandoned hareidi Jews and not the other way around, MK claims. 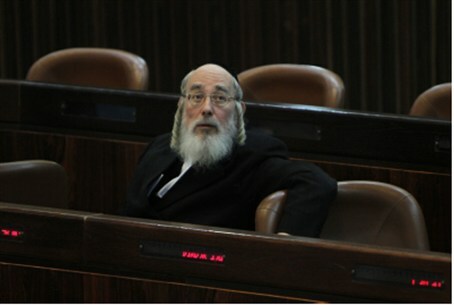 MK Yisrael Eichler of the hareidi-religious Yahadut Hatorah party spoke in Knesset Wednesday following the rejection of a proposed law to make IDF enlistment voluntary for all citizens. He slammed radio broadcasters who recently criticized the hareidi community for not serving in the IDF, among other things, following Eichler’s criticism of a deceased Israeli author. It was not hareidi Jews who decided to leave the army, but rather, the army decided it did not want hareidi soldiers, he argued. Eichler noted that as a youth his father fought in the pre-state Jewish underground, and in the War of Independence. Then-Prime Minister Yitzhak Shamir, the father of current Minister of Agriculture Yair Shamir, signed his certificate of service, he added. The fact that hareidi men used to fight in Israel’s wars proves that it was not the hareidi community that chose not to enlist in the army, but rather, Israeli policy did not allow them to enlist. The state does not allow hareidi men to serve while continuing to maintain their way of life, he accused.